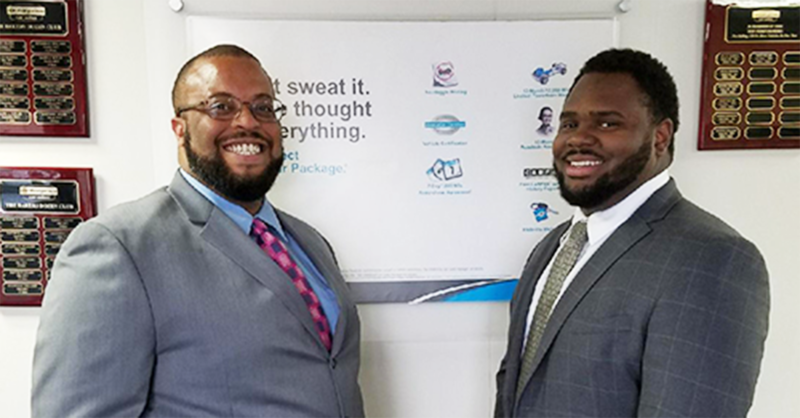 We sat down with Car Sales Consultant Jahi B. and Senior Sales Consultant Joel J. to learn more about how they went above and beyond for a customer who recently purchased a car in Baltimore, and raved about their customer service. Jahi: A customer was referred to Enterprise Car Sales by one of our team members from a local rental branch. She was looking for her dream car – a specific color pattern Avalon. In getting to know the customer, she mentioned other dealers had tried to pressure her into various vehicles then gave up when they could not find her the right one. Joel and I stayed in contact with the customer while we searched for her perfect vehicle. It took a few weeks but we found the customer’s dream car and had it transferred to our location. She was truly ecstatic to drive the car off our lot. What is your reaction to the compliment you received? Jahi: We really made a connection with the customer. It feels great to provide such a high level of service. It’s worth every bit of hard work, especially hearing how much a customer appreciates how we do business. Joel: Working with the customer was extremely rewarding. Jahi and I collaborated to provide an outstanding customer service experience. And because of that, the customer drove off our lot with her dream car. Our whole team is committed to this type of service every day. Jahi: In sales you encounter many different personality types and situations. I try to identify a customer’s communication style and then figure out the best way to assist them. At the end of the day, what it comes down to is helping people by listening first, then focusing on finding the right vehicle for them in their budget. Car Sales has a transparent and simple approach to selling cars that allows us to really focus on the customer and provide the best service possible. Joel: At Car Sales, we take a consultative sales approach which puts us miles ahead of others in the industry. This means listening to customers is the foundation of our interaction. I make sure to address every need and concern for each customer. The customer always comes first. Jahi: I began my career at Enterprise as an intern in 2006 while studying at Morgan State University. After graduating in 2007, I joined Enterprise full-time. I worked my way up to the Assistant Manager position before joining the Car Sales team. Joel: My Enterprise career began in 2012 as an airport driver. I then became a Customer Service Representative (CSR) and later joined the Management Training Program. I was an MT for eight months before being promoted to Management Assistant. I then accepted a Sales Consultant position with Car Sales, most recently being promoted to Senior Sales Consultant.